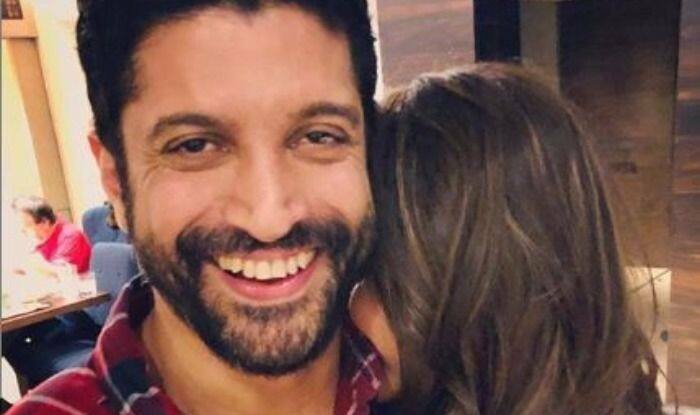 Farhan Akhtar and Shibani Dandekar have been making headlines about secretly dating each other. Every time one of the two share pictures of them on social media, they always caption it as “bumped.” This once Farhan shared a picture which Shibani which definitely is a planned outing. Farhan and Shibani are lately chilling with each other often. This has lead to speculations of the two dating. Recently, Farhan took to his Instagram Handle to share two pictures with Shibani. In one of the pictures, Shibani can be seen hiding her face while hugging him. In another one, both Shibani and Farhan look at the camera and smile. This is one picture of the two that will surely give you goosebumps. The duo has not confirmed anything about their relationship but it is a treat to the eyes to see the two so happy together. He even gave a cute caption to it that says, “Now you see her. Now you don’t. ❤️ @shibanidandekar ❤️ Thank you @ginashetty1 & @tarunshetty1 for a lovely evening”.